A company making moulded tanks was developing a new design of hatch, or manhole cover. This had to be strong enough to take a load of 1.5 tonnes. They asked Coupland Bell consultants to analyse the outline design, see if it was strong enough and to recommend improvements. 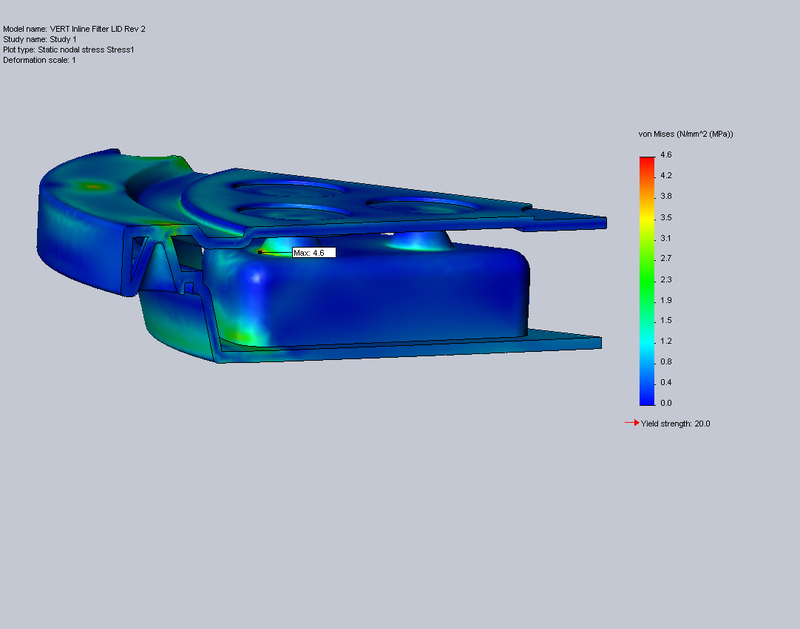 The hatch was circular and had rotational symmetry, so our consultants built an finite element analysis (FEA) model of one segment. Symmetry boundary conditions represented the rest of the hatch in the model. This was a straightforward model using solid elements, but care was needed at the “kiss-offs” which joined the top and bottom surfaces. 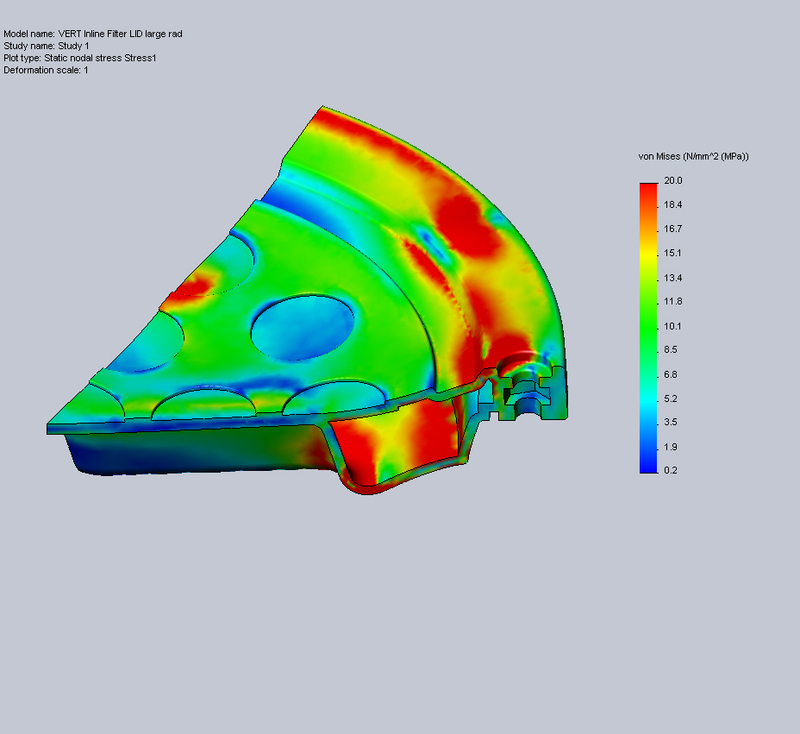 Our FEA showed stresses which exceeded the material strength. Our consultants were able to reduce them to a certain extent by altering a critical radius, but not sufficiently to make the trail design work properly. Our consultants then produced several trial designs and conducted a short study to find the best strategy. Our consultants recommended a new approach using radial ribs incorporated into the rotational moulding. 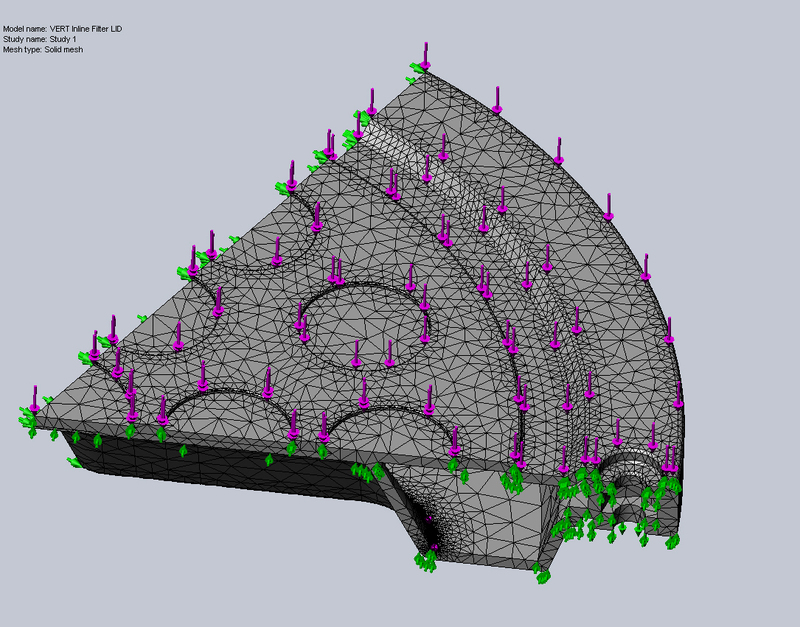 Our customer quickly turned this into a new detail design and FEA showed adequate performance to meet the design requirement. 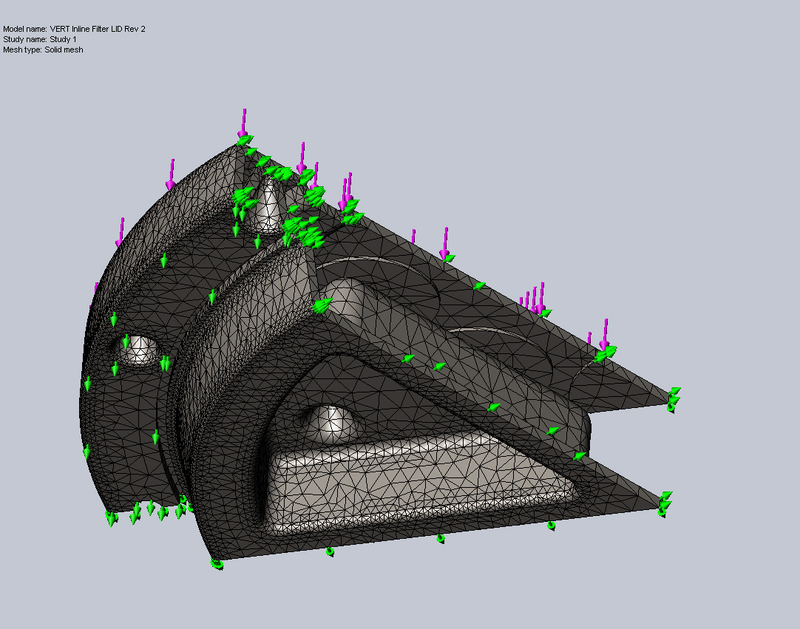 Finite element analysis (FEA) case study of a rotationally moulded hatch by UK consultants Coupland Bell.